LEAF BLOWER HAND HELD 2 CYCLE Rentals Ft. Collins CO, Where to Rent LEAF BLOWER HAND HELD 2 CYCLE in Ft. Collins, Wellington, Greeley, LaPorte, Loveland, Windsor CO and all of Northern Colorado. 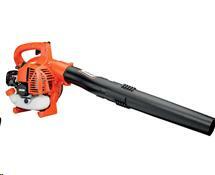 A hand held leaf blower, with an Echo 2-cycle engine. easy to use, inexpensive tool. * Please call us for any questions on our leaf blower hand held 2 cycle rentals in Fort Collins, Wellington, Greeley, LaPorte, Loveland, Windsor CO and all of Northern Colorado.